SEO stands for search engine optimization and it is a commonly used practice in the online marketing sector. To put it simple, its is to increase brand awareness, boost sales, attract more prospects and improve the ranking of a website. When you are a Saskatoon company fighting to compete against tens of thousands of other businesses, Internet marketing is an area of your marketing campaign that you cannot overlook. Contact Canada West Internet Marketing for a free consultation about SEO services for your Saskatoon business. Since most web users depend on search engines like Google or Bing to get products and services, making use of search engine optimization services as an integral part of any internet marketing strategy makes a whole lot of sense. 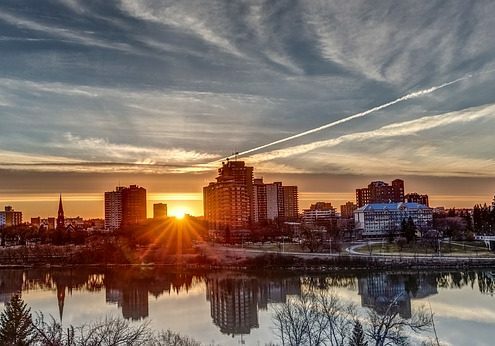 For a small business in Saskatoon, SK, it means that you can make buyers find your products or services a lot more cheaply. This in turn translates to growth of the venture. It is not possible for your products or even services to sell if people in Saskatoon (or anywhere else, for that matter) do not know of them. This is precisely what SEO does. It ensures that people are aware of your business. Even if the initial response does not lead to significant sales, the publicity that you will get is very good for your business when you look at it in the long term. Brand recognition can almost certainly lead to better sales because more and more people will become familiar with your product or service. The more they know of it, the more they are likely to trust it. If your website generates high traffic, consistent sales are just a matter of time. As part of our SEO marketing, your website will be restructured and rebuilt so that it is turned into the hub of your content online. Not only does this cater to your market but it also fills the website with fresh and highly relevant information. Molding your web into a traffic magnet makes your products and services sell more. To achieve this, you need to work with experienced Saskatoon web designers and internet marketers who have the capability to not only improve visitors experience but also remove unwanted fluff from your site. If you want your company website to rank on the first page on Google’s search engine results page, do not hesitate to call the premier Saskatoon SEO consultants at (306) 700-2780. Don’t be afraid to call us outside of business hours and leave a message. We’ll call you back as soon as we can.